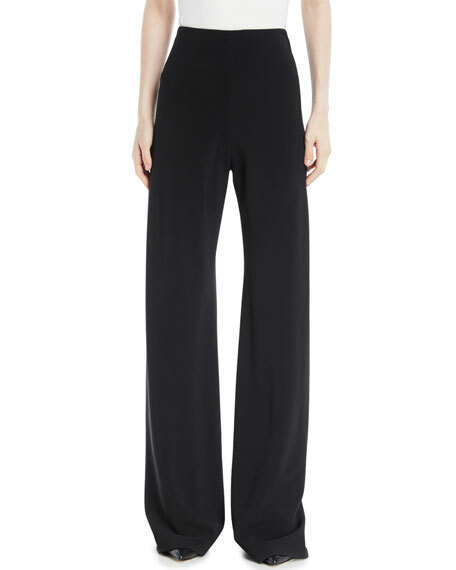 Rosetta Getty pants in stretch-cady. Dries Van Noten longer length trousers. Mid rise; flat front. Rear besom pockets. Relaxed fit. Straight legs. 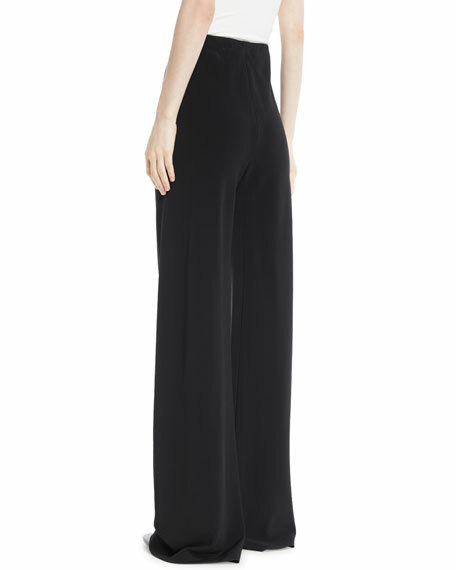 Full-length hem. Hook/zip fly; belt loops. Viscose. Made in Morocco. 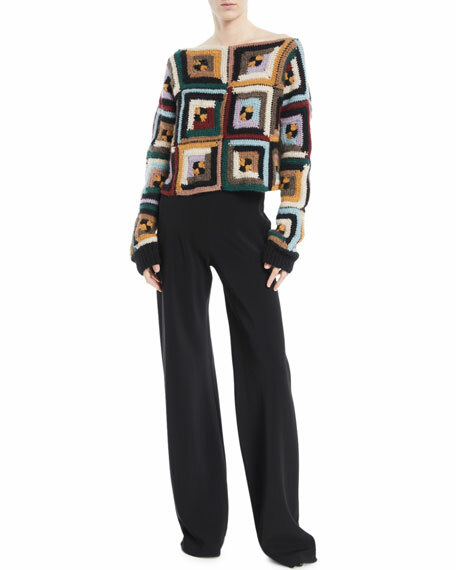 Lela Rose graphic striped trousers. High rise; belt loops; adjustable belt. Side slip pockets; rear flap pockets. Relaxed fit through wide legs. Full-length hem. Hook/zip fly. Acetate/viscose. Made in USA of imported material.